The Heinen sliding door stands out because of its off-specification dimensions. 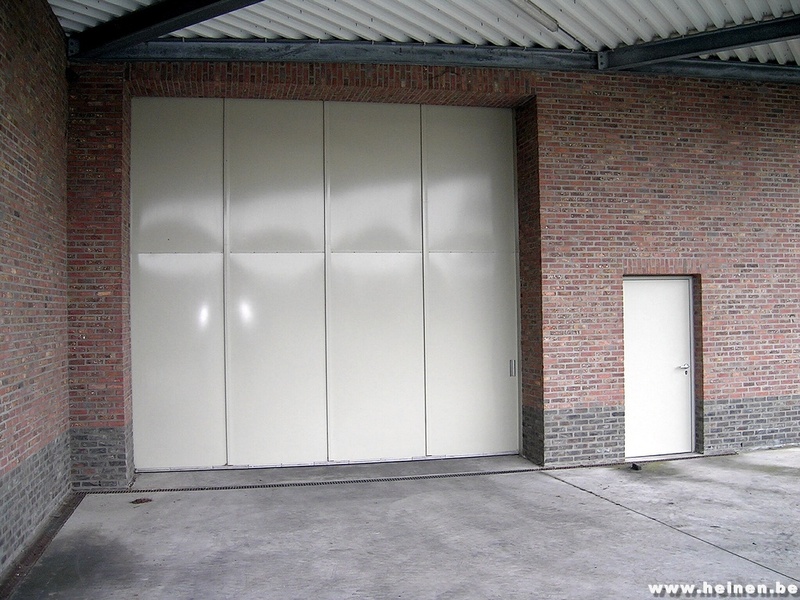 These doors can be up to 6 m high! They offer exceptional manoeuvrability, ensuring operational security and reliability. The advantage of opting for this type of sliding door is that the passage is totally unrestricted, without a ground rail. Glazed units can be integrated into these sliding doors, along with various types of access control. What are the most common uses of the sliding door? 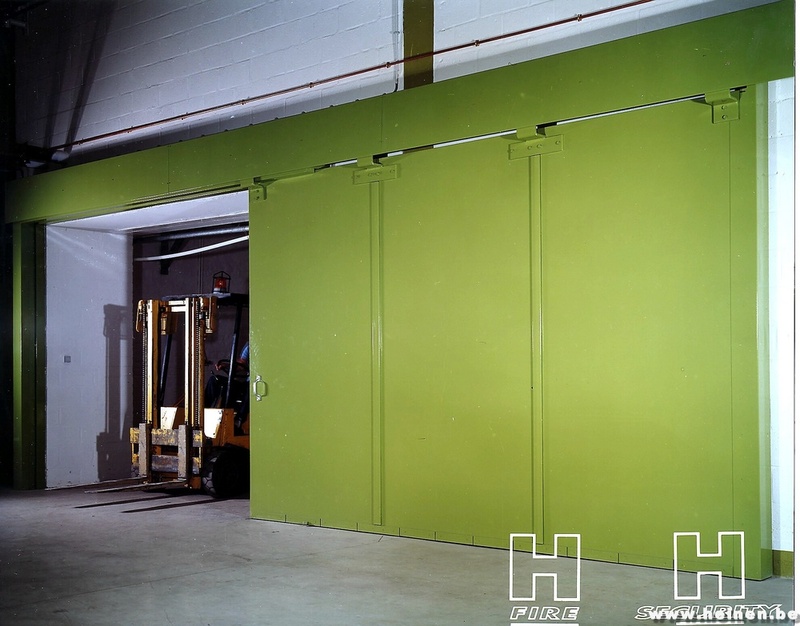 Sliding doors are often used in industrial settings. Both inside to separate halls and outside. Of course, their main advantage is the easy manoeuvrability, as well as the little space they need to open. These doors can be motorised for even greater convenience. Finish with transparent primer, ensuring perfect adhesion for any subsequent finish. 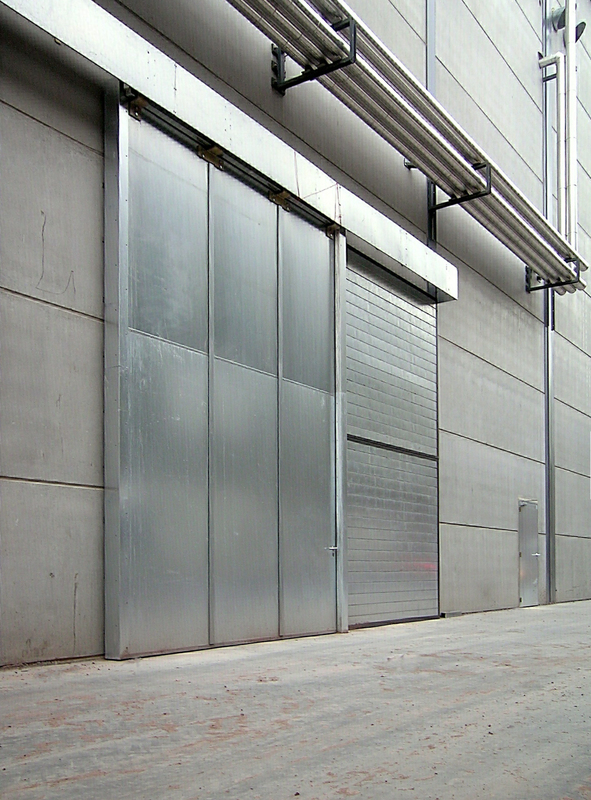 Double doors and door leaves comprising several modules have flexible uprights fitted with sealing lips, invisibly attached. Fire-resistant doors are fitted with an automatic, adjustable closing system that operates at a constant speed.